intu's the Customer Experience Team are always working on ways to bring memorable moments during shoppers' visits to their centres. Keeping children entertained is one of the most challenging aspects of any shopping centre visit. The adoption of technology in intu's strategy is a key element as they look to turn their centres into destinations with a mix of shopping, eating and entertainment. 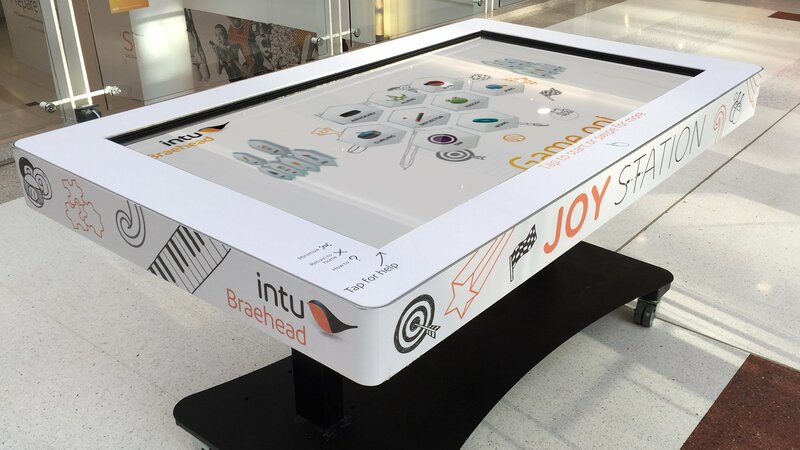 Livewire designed and built a digital games table that was installed by us at intu Braehead in Scotland. The unit features a 60" commercial panel with infrared touch technology and was installed into a bespoke, mobile metal frame that allows the table to be raised and lowered to suit the players height via an electric motor. The Joy Station comes with lockable wheels so it can be placed anywhere in the centre, comes with built in speakers and just plugs in with a 13am 3 pin plug.The Multi-touch Entertainment software installed on the Joy Station helps attract and entertain shoppers and keeps children happy and entertained while their parents shop. The unit is like a giant tablet with a selection of 20 fun games to play for one or more players. Players can play by themselves or challenge their friends while in the centre. 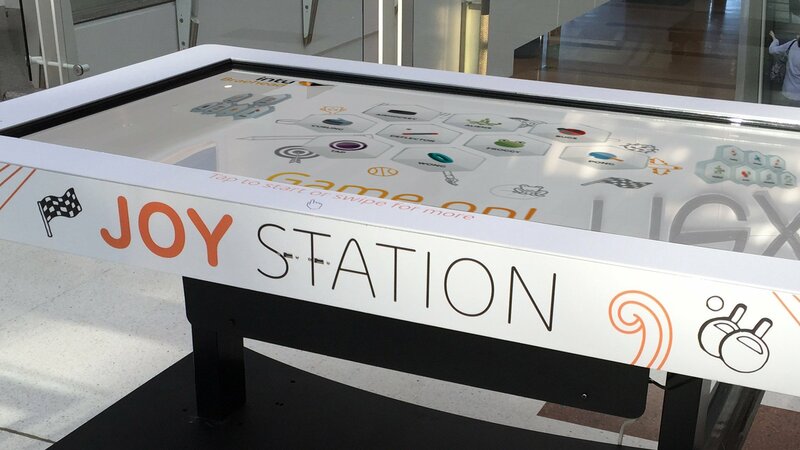 Adding printed graphics brought the finishing touches to the table with the intu brand and player instructions clearly visible. “The Joy Station was installed near our Christmas Grotto from November onward and from what staff have reported it was very popular and busy in the run up and over the Christmas period which is fantastic! Our customers have really enjoyed the Joy Station. We’ve had positive reaction on Twitter.